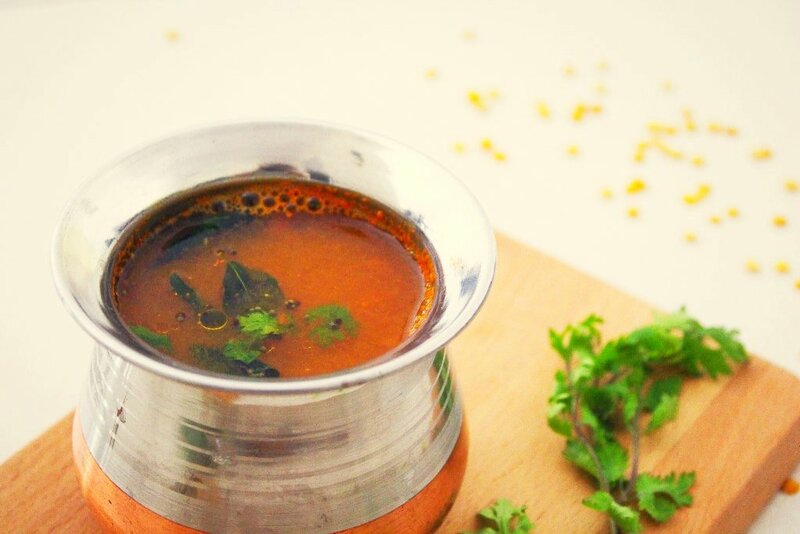 Thelivu Rasam Recipe is a spicy and yummy rasam made with a base of toor dal and tomatoes along with tamarind that lends it's tanginess, and the addition of garlic to the tempering that makes all the difference. 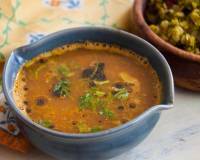 Thelivu Rasam is a rasam with no residue. 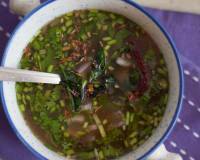 It is clear and is an excellent digestive soup like recipe to include it into our diets. 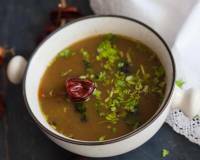 Thelivu rasam is made with toor dal water, tamarind, tomatoes, garlic, green chillies and more, which makes it deliciously flavourful. 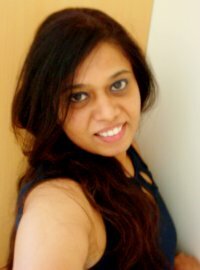 Serve the Thelivu Rasam Recipe along with Steamed Rice, Elai Vadam Recipe (A Traditional South Indian Rice Papad), Bajri Ki Roti Recipe and Molagootal (Vegetables In Coconut Gravy) Recipe for a complete weeknight dinner. 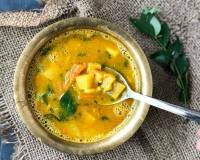 To begin making Thelivu Rasam Recipe, wash and pressure cook the toor dal for 2 whistles and keep aside till the pressure releases naturally. 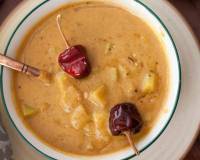 Make a smooth paste of the tomatoes, garlic cloves and green chilli using a blender and keep aside. Heat ghee in a pan. Once heated, add the mustard seeds on a low heat and let them crackle. Add the asafoetida, curry leaves and let them splutter for a few seconds. Add the ground tomato paste, tamarind pulp, rasam powder and enough water to your desired consistency and bring it to a rolling boil. 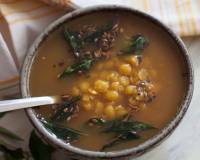 Now, mash the cooked dal and add it to the pan, season with salt and simmer for about 2 minutes on medium heat. 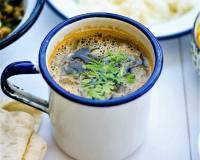 Garnish with coriander leaves and switch off the heat. 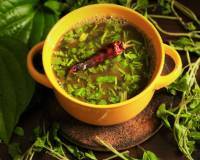 Serve the Thelivu Rasam Recipe along with Steamed Rice, Elai Vadam Recipe (A Traditional South Indian Rice Papad), Bajri Ki Roti Recipe and Mulakootal (Vegetables In Coconut Gravy) Recipe for a complete weeknight dinner.